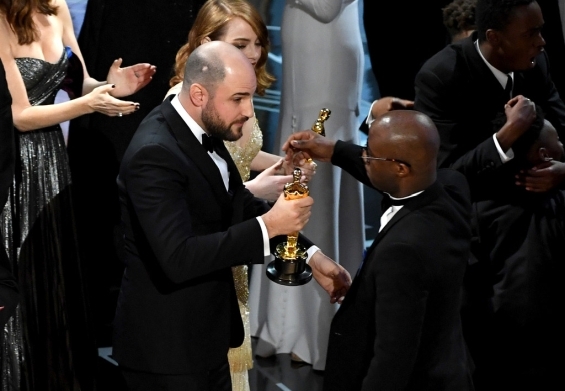 Awkward finished 89th edition of the Oscars after "La La Land" was mistakenly declared the winner in the category of Best Film. 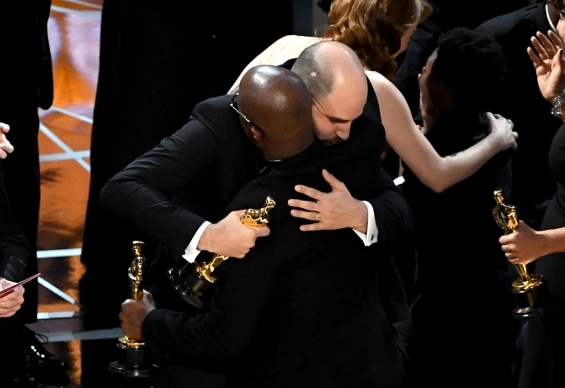 Later it became clear that the real winner was "Moonlight", a producer of the famous musical had to hand over the statue to the producer of "Moonlight". 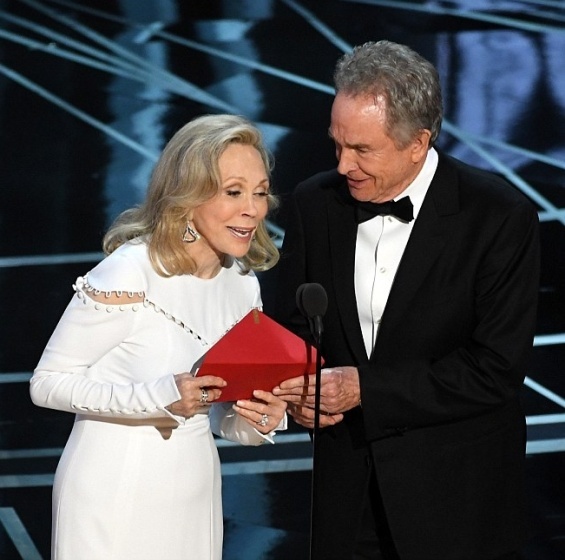 At the 2017 Academy Awards, Warren Beatty and Faye Dunaway were called upon to announce the winner of Best Picture, Beatty appearing to jokingly dither as he checked and re-checked the contents of the envelope containing the winning name. Only, it turned out, Beatty's dithering wasn't meant as humour. Dunaway announced La La Land as the winner, with the cast and crew of the musical assembling on stage to collect their awards, and the film's producers embarking on their acceptance speeches... until terrified stagehands began notifying the assembled winners that there had been an envelope error, and that Moonlight was in fact the actual winner of the award.